Welcome to ReadyCloud’s API documentation! The ReadyCloud API provides read and write access to orders, boxes, items, addresses and all the other major data stored and processed by ReadyCloud. It is a modern JSON based RESTful API. Version 2.0 of the API is a major upgrade which provides many new properties and features, while at the same time simplifying and improving the format. Field naming is better, fewer fields are ‘custom fields’ but instead fully formatted and documented properties and we have a new way to distinguish explicit and implicit data. This documentation is a full reference to the API, and also contains a guide to setting up a simple API client. Authentication is the same for ReadyCloud API v1 and v2. 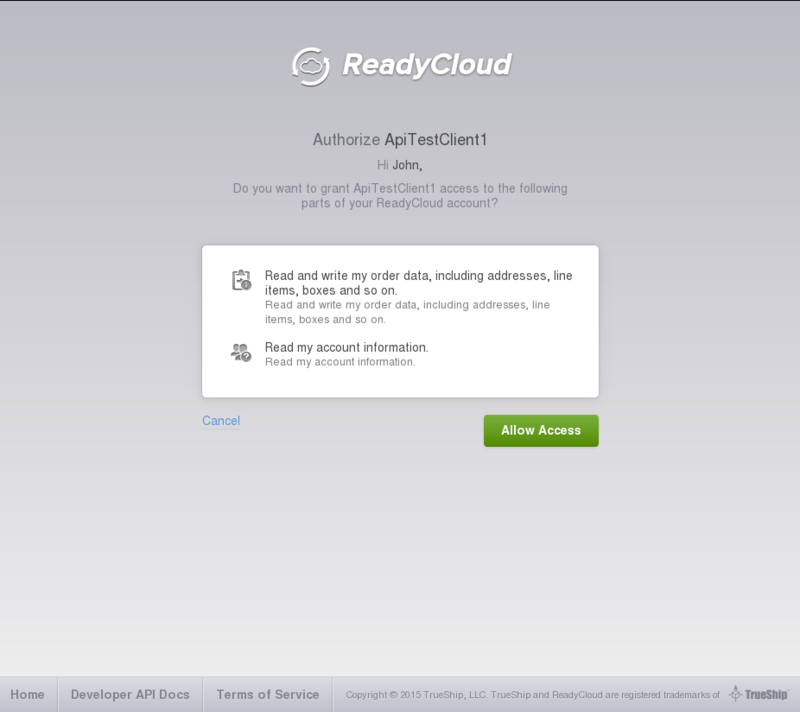 A client id is needed to authorize your application with the ReadyCloud API. Please follow the steps below in order to obtain one. Go here and create a client. Name it whatever you like, but make sure it relates to the application that you will be authorizing with. For example, if an application was named “BurgerMaker”, “BurgerMaker Client” might be a suitable name. The next step is to create a URL that your application will use to get an API key from ReadyCloud. client_id: This is the client id that we got from the Getting a Client ID section above. Instruct them to copy the key into your application. At that point, you will have to save that key somewhere in your application in order for it to access the APIs on ReadyCloud without needing to authenticate again. Note: If you are writing a mobile application and you are in control of the web browser, you can automatically grab the key from the URL fragment. The API key in the URL above is the “access_token” fragment parameter.